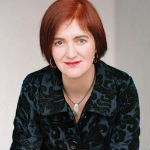 Emma Donoghue launched her writing career (after she was fired from her job as a chambermaid) at 23 with a two-book deal with Penguin. She’s since written more than a dozen books in almost as many genres, including the Man Booker finalist Room (Little, Brown), and Slammerkin (Mariner), a historical novel, which won the 2002 Ferro-Grumley Award for Lesbian Fiction. She also wrote the screenplay for a 10-minute film called Pluck, about “a man’s obsession with a hair on his girlfriend’s chin.” After years of commuting between England, Ireland, and Canada, she settled in London, Ontario, where she lives with her partner Chris Roulston and their son and daughter. Donoghue’s latest book, Inseparable: Desire Between Women in Literature (Knopf), comments on the lesbian content in everything from Shakespeare to Don Juan in the Village. Along with an overview of how lesbian literature has shifted, developed, and reflected the times, there’s a wonderful assortment of lesbian lit fun facts here—the first appearance of a lesbian vampire (in Joseph Sheridan Le Fanu’s Carmilla ); the two novelists who launched the lesbian mystery series— Barbara Wilson and Katherine V. Forrest; and that Sarah Waters got the idea for Tipping the Velvet while working on her PhD on lesbian and gay historical fiction. What was your research process like? The longest piece of work I’ve ever done. I devoted part of each year to it from the mid 90s till the late 2000s. Every now and then I’d scold myself, “Emma, this will never be published, it’s neither general-interest nor academic-specific,” but I couldn’t stop, the endless immersion was too much fun. Were you ever surprised by how often lesbian subplots appeared within early English literature? You mention that while working on Inseparable, you loved reading Samuel Richardson’s Clarissa and Sarah Waters’ Affinity. You also say that there were a lot of bad books, and some great bad books. Can you name a few and talk about what made them bad/great? The late nineteenth and early twentieth centuries provided some wonderful dreadful ones: I’m thinking of L. T. Meade’s The Sorceress of the Strand and H. Rider Haggard’s Allan’s Wife, both laugh-out-loud homophobic novels starring unforgettable lesbians. I know from my own writing that authors often have a sneaking, besotted fondness for their baddies. Did examining the plotlines of several centuries worth of lesbian lit generate any ideas for your own fiction? The love triangle seems to be a permanent fixture in all kinds of storytelling, especially lesbian literature, and shows up in contemporary film—Chasing Amy and The Kids are All Right. Do you think this is about an easy way to build dramatic tension, or is something else going on? It’s a handy device, and it’s used all the time in heterosexual love stories too, so I don’t see it as inherently undermining of lesbianism. But I also like Marjorie Garber’s suggestion that the triangle is what heats things up; that perhaps rivalry, not just between individuals but between forms of sexual identity, adds spice. And the lesbian doesn’t always lose; I love that moment in The Kids are All Right when she puts down the phone on him because of his idiotic assumption that she’s about to run away with him, and there are also triumphant moments in lesbian film such as Idgie saving Ruth from her violent husband in Fried Green Tomatoes. Congratulations on the massive success of Room! What led you to write a novel where place is as important as, or is, the main character? Motherhood. Even if—like most lesbians these days—you’ve gone out of your way to get pregnant, even if you have a co-mother doing half the work, you still have moments of feeling that home is a trap from which you’ll never escape. Has the response to Room lead you at all to think about the differences between the way your non-LGBTQ and LGBTQ work has been received? However, it’s not like all my non-lesbian work is automatically successful. In the case of Room, I can see exactly why it’s selling so well: it’s the central idea (rather than my writing), the locked-up-yet-uncrushed child. 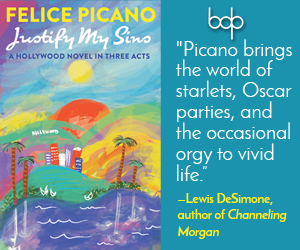 So I’m happy to accept the fluke success of this particular novel, and expect that my past and future works—whether lesbian or not or partly—will find a smaller audience. Actually, what’s impressed me this year is that my being so out has not got in the way of Room’s success at all; the media seem extremely relaxed about it. Sarah Schulman has talked about how the UK treats lesbian fiction much more favorably. What do you think about the state of lesbian fiction within the US as compared with Canada or the UK and Ireland? She knows the US scene better than I do, but I haven’t observed this pattern myself. My last two (lesbian-themed) novels, The Sealed Letter and Landing, were published eagerly by my US publisher and couldn’t find a publisher in the UK. The publishing industry is going through some major shifts and changes right now. What do you think of ebooks, and do you think they’ll change the way people read? Very possibly, yes; I’ve been started to hear that Room is selling as many e-copies as hardback ones. I haven’t converted (or even dabbled) myself, but anything that makes people enthusiastic about getting their mitts on a story is a fine invention in my book. Karen Schechner is the senior Indie editor at Kirkus Reviews. Kirkus Indie curates self-published titles to help consumers and industry influencers (publishers, agents, film producers, librarians, booksellers) discover books they may otherwise never find. In her pre-Kirkus days, she was the senior editor at the American Booksellers Association, where she worked with indie booksellers for nearly a decade. 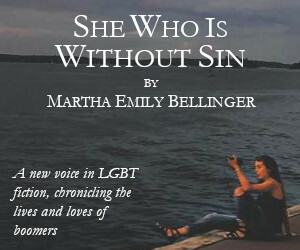 She’s also has long volunteered as the senior editor of Lambda Literary. She won’t say no to a kumamoto.